spent the rest of the morning having a lymphoedema practical session. It was run by 2 physics: Sue Serebro and Allison Dendy. 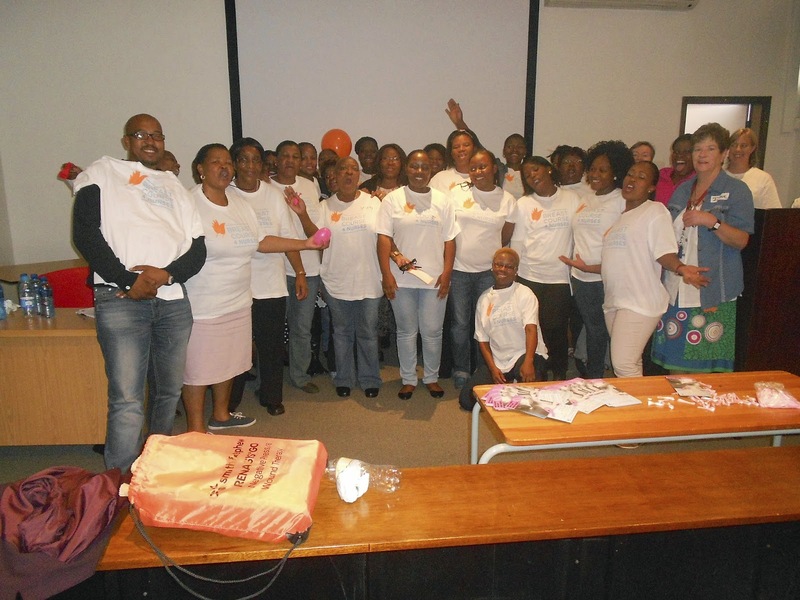 They are both well known lymphoedema therapists in Johannesburg and gave up their Saturday to share their knowledge. They worked with 2 other physiotherapists. After a short lecture going over the pathophysiology of lymphoedema and the principle of management, the group split up into 4 groups for lots of hands-on work. First they practised massage and then they started bandaging. Sue also brought along sleeves to wear. It was interesting to wear a sleeve and see what it feels like. We had a visitor: Dr Anchen Laubscher from Netcare head office. She took time off from her wedding planning to (literally) roll up (or off) her sleeves and take part in the practical lymphoedema bandaging session. 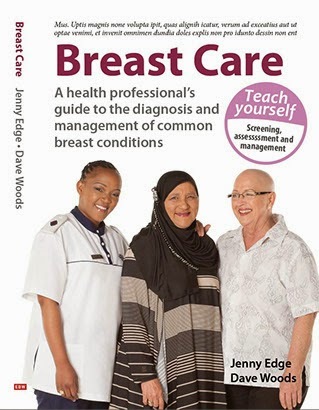 It gave the nurses a chance to say thank you to Netcare who were sponsors of the course. At the end of the discussion, Karen (one of the nurses) made me realise how valuable the course is. She concluded the session on community networking by saying that she has reaslised that it is up to her to do something about the problems within our system. She urged all of us to identify an area that we can improve on and not to feel daunted by trying to tackle everything. I am really looking forward to going back to Bara next year and hearing what this impressive group of nurses have done to try and improve the situation. The course was very well run and I have to thank Sheila Correia, Herbert Cubasch, Michelle Norris, Lieske Wegelin, Karen Hill, Maureen Joffe and Lucille for their enormous amount of work. The whole group wearing our T shirts. The T shirts were designed by Amy Leigh Jordaan and printed very efficiently by Freeline. Thanks to both of them. More pictures will be posted on our facebook page by the end of the week.